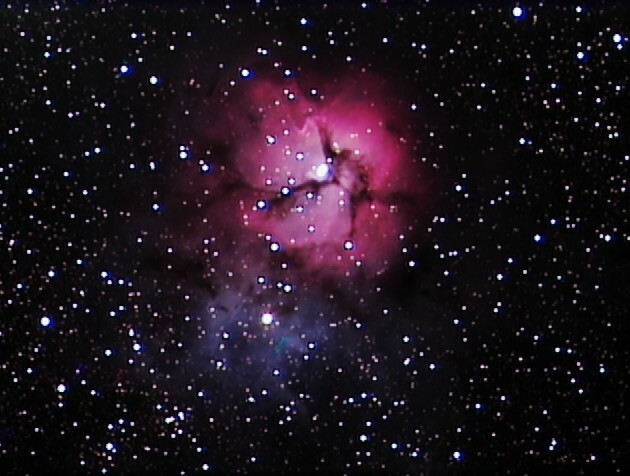 Curtis V. Macchioni NightSkies Network: "California Skies"
In 2010 I bought my first video camera, a Mallincam VSS+. Until then all my observations were the traditional way, through an eyepiece. But, I was disappointed at what I could see, or should I say, not see. I wanted to see much more than faint fuzzy galaxies and grey nebulae with barely distinguishable features. 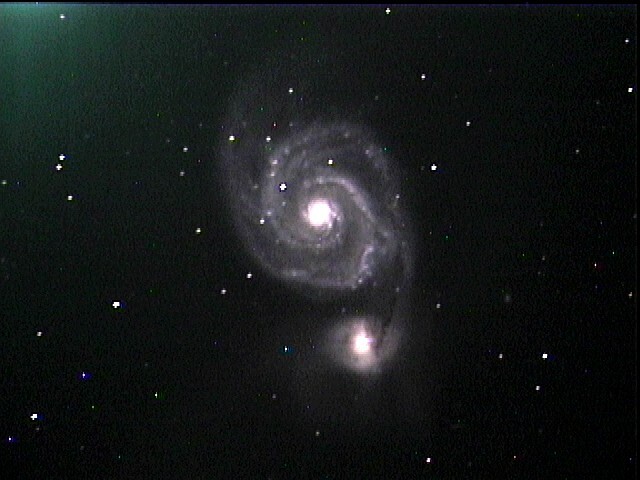 My first night with the Mallincam at the back of my Celestron 9.25" SCT was astounding. Here was the detail than I longed to see. And, in color, too! I soon had the camera upgraded to an Xtreme with the capability for unlimited exposures to bring out even more detail. My first time with the camera at a dark site was even more incredible. Over the next year I worked my way through the entire Messier catalog and quite a few NGCs from my light polluted back yard. I have used many other analog video cameras and a few USB cameras in the years since and can confidently say that there are many excellent options available from inexpensive but highly capable cameras for the beginner, to top of the line cameras for the advanced observer, and even Do-It-Yourself options for those so inclined. Soon after getting my camera, I decided I wanted to share my newly gained capabilities with others who had not tried deep sky video. Along with two friends I gave my first presentation on deep sky video astronomy at the Golden State Star Party in 2012. That was followed by presentations at several local astronomy clubs. I have also written a review of video cameras on Cloudy Nights and have published an article in the March 2016 issue of Sky & Telescope. I have done this to both spread the word about what video offers and also to help others get started in this fast growing segment of astronomy. I finally decided to create this web site as an additional resource on deep sky video astronomy with the hope that I could reach even more amateur astronomers than I have already. On this web site you will find a number of pages devoted to help you get started in deep sky video. I have included a page, "My Images", with some of my own images using different camera/scope combinations to show what I have been able to accomplish. Certainly others have done even more. Initially, all of my work was with the analog camera shown here. In the last two years I have begun exploring some of the many excellent USB video cameras like the ones shown below. Under the "Deep Sky Video" header you will find a page which details the features of some of the more common video cameras (some no longer available except in the resale market); a page which provides the specifications of the different sensors found in the most commonly used video cameras; and a page with a list and description of typical accessories you may need or want to try with your video cameras. Under "Quick Start Guide" you will find pages describing the most important considerations for choosing a scope and mount for deep sky video along with pages providing step by step instructions to get started with or without the use of a computer. There is also a "Blog" section where I will periodically provide what I hope is useful information relevant to deep sky video. Finally, I have a "Helpful Links" section where you can find a list of books on video astronomy, links to other web sites that I have found helpful, forums where deep sky video is discussed, and my own presentations which you can download and use for yourself. Also, if you have any of the early cameras used for video astronomy, like the Stellacams, MC-1, Mintron 12V1C-EX , Supercircuits please take a look at this page. ​I hope you find this web site helpful. If you have any questions or comments, I can be reached at: astrocurtis@yahoo.com. Also, you may look for my occasional video broadcasts of deep sky objects on Night Skies Network where my channel is "California Skies"